Do you have a will? If you don’t, you are certainly not alone. 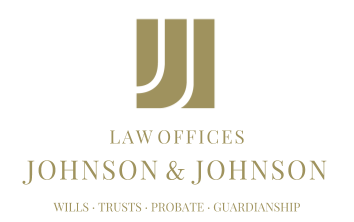 Many people in Nevada don’t have a will despite the numerous benefits of having one before you pass away. Drafting a will can be difficult for many people because it is hard to think about your own death, but having a will is very beneficial and can make life a lot easier for your loved ones. If these first few sentences haven’t convinced you to go and draft a will, here are a few more reasons why should you have a will: one of the biggest reasons to have a will is because dying without one will mean your estate will be distributed by the state. This could result in someone receiving part of your estate that you maybe never talk to anymore. It could also result in someone very close to you not receiving anything from your estate. A will is very helpful for many reasons. A will puts in writing who will receive your property and other assets after you pass away. It is important to note that some assets will not be distributed through your will. Rather, these assets will be distributed to the person listed as the beneficiary on the account so remember to update and revise your retirement accounts and life insurance policies as necessary. In addition to spelling out how your property and some assets will be divided, a will can also name a guardian for any minor children. Naming a guardian for your minor children is very important and shouldn’t be overlooked when drafting your will. A will can address a variety of issues and is an essential estate planning document to have. Hopefully you have realized the importance of having a will and will look into contacting an estate planning attorney to start drafting your will before it’s too late.